I read this article and found it very interesting, thought it might be something for you. 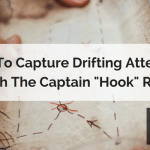 The article is called [Story Sells] How to Capture Drifting Attention with the Captain “Hook” Rule and is located at https://copychief.com/the-captain-hook-rule/. 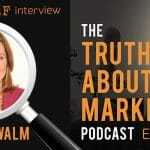 You will lose sales unless you hook your customer’s attention with the very first sentence. But what do you say? Well, to figure that out, let’s look at what not to do. And then just do the opposite. Captain Hook and his pals at Jake and the Neverland Pirates hold the treasure we seek. If you’ve got kids, perhaps you know this Disney show, set in Peter Pan’s Never Never Land. Peter does make an appearance here and there, but the lead characters are Jake, Izzy, and Cubby. These bright-eyed kids are stand-ins for Good Little Girls and Boys. You know the one. Always gets the Time Outs. Doesn’t listen. Takes stuff from Jake and never wants to share. Of course Jake and his team forgive Hook and even try to save him from danger. But in one episode, Hook is nearly gobbled up because Jake doesn’t know the first rule for hooking attention. I don’t remember the details of this show – Netflix yanked the series from their service (such is streaming). But knowing Captain Hook, it was probably the Old “Tick Tock Croc” gunning for Hook. That crocodile just loves the juicy taste of the Captain. Jake sees the croc, and being the good golden boy he is, tries to warn Hook. Repeatedly. But every time Jake tries to tell Hook about the danger, Hook ignores Jake and walks off. But it’s not Hook’s fault. It’s Jake’s. For all his golden virtue, Jake doesn’t know the first thing about grabbing attention. At which point Hook tunes out and storms off. It’s not that Hook didn’t listen at all. He did listen – for about 2 seconds. But since he didn’t hear anything worth his time, he walked. Just like impatient prospects will. Remember that Hook represents a child. He literally doesn’t have the attention span to wait for a long introduction. And customers are JUST LIKE CHILDREN. In their attention spans at least. Grumbling stomach. Crying Kids. Buzzing Phone. Facebook. Twitter. Slack. Call it the “Peter Pan effect”: all these modern distractions turn us back into eternal children. Now more than ever, we have to lead with the important stuff. Lead with the important stuff first. That would stop Hook in his tracks. And then Jake could expand. Explain. Fill in the details. But the best explanation would be hot air without first snatching attention. How cool is that? I want to know about the one child who doesn’t age. That’s a great hook right there. It’s a good thing, too, because the Boy Who Never Grew Up doesn’t actually make an appearance for pages and pages. No magic yet. We have to wait. But the opening sentence promises that it will be worth our while. 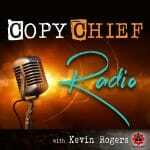 The MORAL: Use the “Captain Hook Rule” – say the critical stuff first – to grab drifting attention.